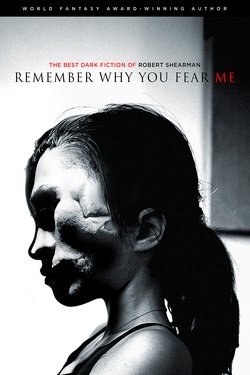 Shearman recently won a British Fantasy Award for best new collection with Remember Why You Fear Me. Having just finished the collection I think it’s a well deserved accolade, so let’s have a look at one of its stories. Most of Sherman’s work deals with overtly fantastical forces, so today’s ambiguous story is something of a departure. It follows in the great horror tradition of making the most mundane household objects scary. In this case, it’s a young girl’s grandmother’s bathtub. I like this choice. Grandmothers often have at least one sinister item in their house, something sufficiently antiquated that it doesn’t look right to a modern child (like bathtubs not sitting snuggly at the end of a bathroom, but perched on clawlike feet as if ready to run as soon as you’ve climbed in). And such things are best found in grandmothers’ houses, where you only go once or twice a year, and familiarity can’t dull the fear. So why is Sarah so afraid of her grandmother’s bathtub? There was hair in her grandmother’s bathtub, coming out of the plughole. It looked like they were growing out. They were thick, like spiders’ legs, but spiders don’t have that many legs, so it was like lots of spiders had been mushed together. They were black. And that was wrong, because her grandmother didn’t even have black hair. Sarah has learned to cope with the bathtub by not using the bathroom until she gets home. When she really has to use it, she’s worked out how to move around the bathroom while keeping the bathtub out of sight for as much as possible. Except that her parents aren’t very happy with each other, and one day her mother tells her to pack a suitcase so they can live at grandmother’s house for a while. Sarah has never stayed over at grandmother’s house before. And the longer she stays there, the closer the time comes when she will have to use the bathtub. The key to such a story, especially one narrated by a young girl, is tone. Shearman has a distinctive style of narrator and dialogue, an awkward uneasiness that fits very well with a girl being caught in unfamiliar goings-on above her. She has certain details that really anchor the verisimilitude, especially her pride that her initials, Sarah Anne Rachel Hadley, are almost the same as her first name: when [someone] called her Sarah, she would feel that, yes, she was doubly Sarah, she would think, I’m Sarah through and through. So when her mother tells her that she’s not a Hadley anymore, her parents separating has a profound metaphysical effect on her: she’s now just Sarah Anne Rachel, and those initials don’t mean anything. I love this detail. It feels exactly like the sort of thing a child would fixate on in this situation.